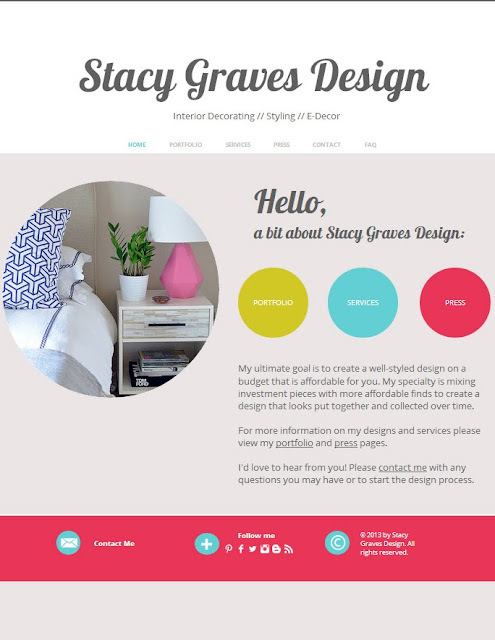 Stacy Graves Design has officially launched, and I can't even begin to tell you how happy I am that I finally made the decision to pursue my dream of working in interior design. I've had this dream since high school, and can now finally say it is a reality! I know I've said it before, but I can't thank you enough if you've helped me on this journey to change my career. I'm forever grateful! Please don't forget to check out and like my brand spankin' new Facebook page! If you haven't already, you can also follow me on Pinterest, Twitter, and Instagram. So excited for you and us. Ha! Good things ahead pal:) Muah! Thank you, Erin. There are indeed!